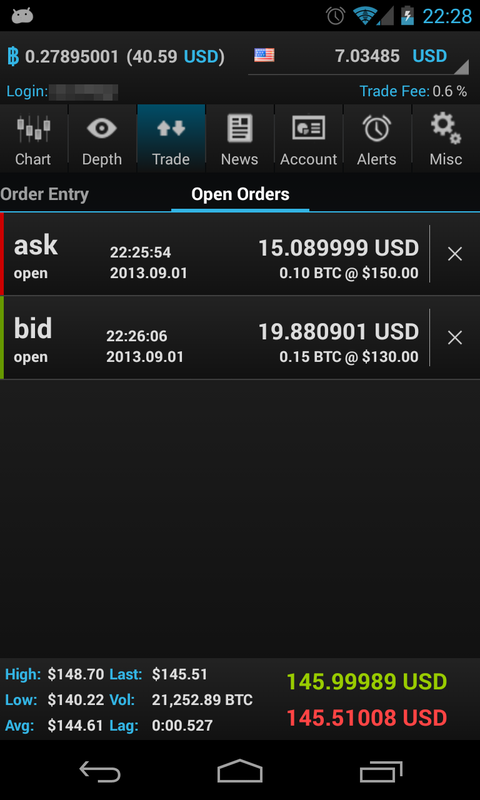 Trade bitcoins from anywhere on the Bitstamp Bitcoin exchange. 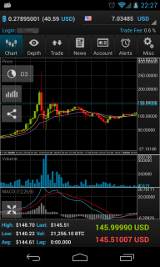 BTCfx provides 13 different timeframes (M1, M3, M5, M15, M30, H1, H2, H4, H8, D1, D3, W1, MN) for the live candlestick chart and 7 indicators (Volume, RSI, MACD, Bollinger Bands, EMA, SMA, Stochastic Oscillator). 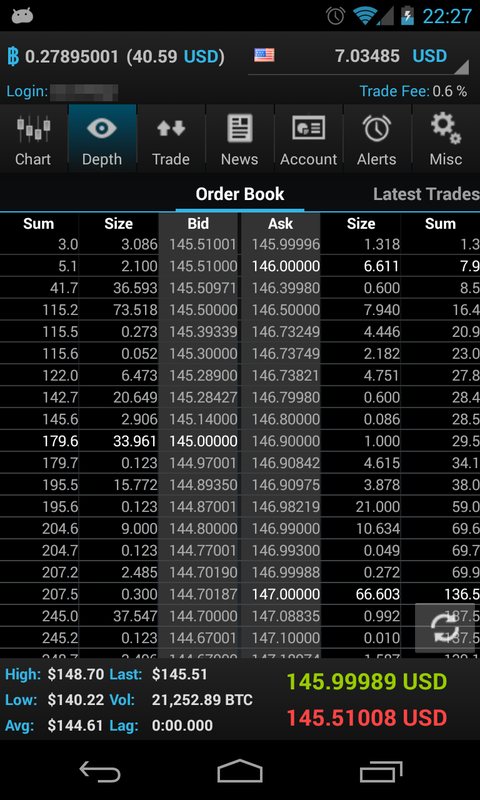 Add as many Bitstamp Accounts as you like. 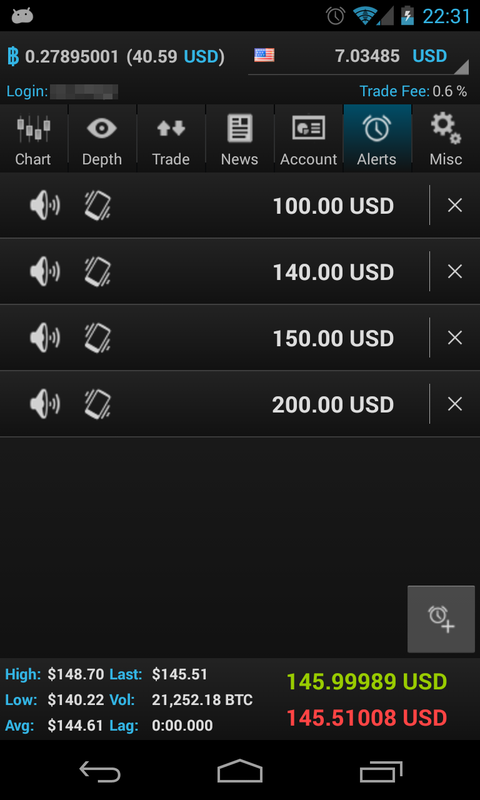 Multi-Exchange support will be added soon. Modern techniques used to make the App really stand out. 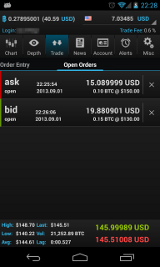 The WebSocket implementation allows BTCfx to display real time exchange rates from bitcoin exchanges. The price alerts are pushed over the google cloud messaging architecture to your device, therefore not draining your battery. 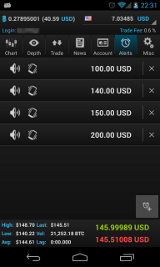 Create as many price alerts as you want and never miss any trade opportunities again. 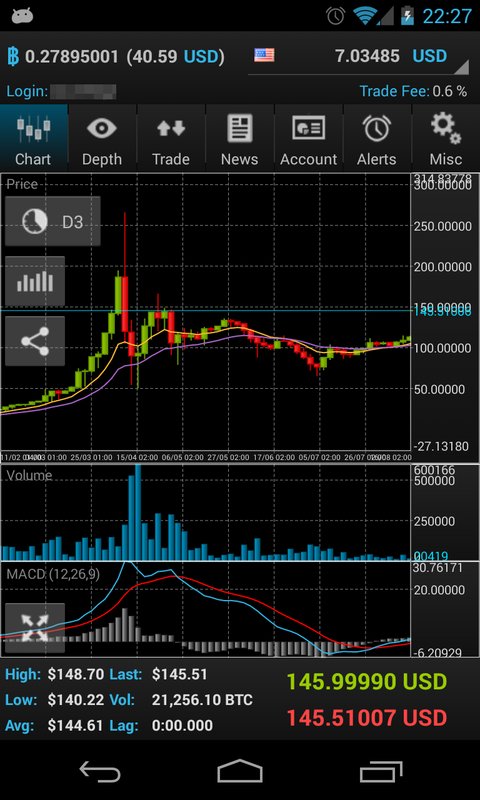 Our servers are monitoring the live exchange rate from bitcoin exchanges and push price alert notifications to your device. 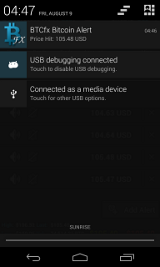 Every alert is customizable (silent, vibrate, notification sound) and will appear in your notification bar. 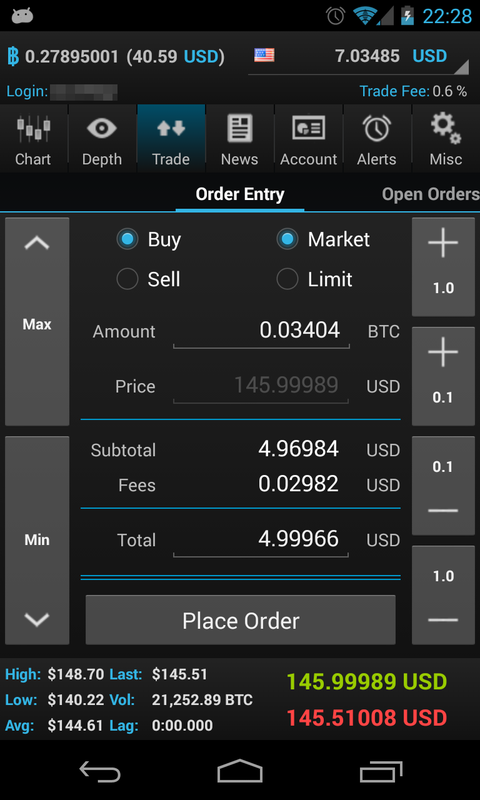 BTCfx only needs permission to trade and to get account infos, so there is no way it can withdraw money or bitcoins from your account. 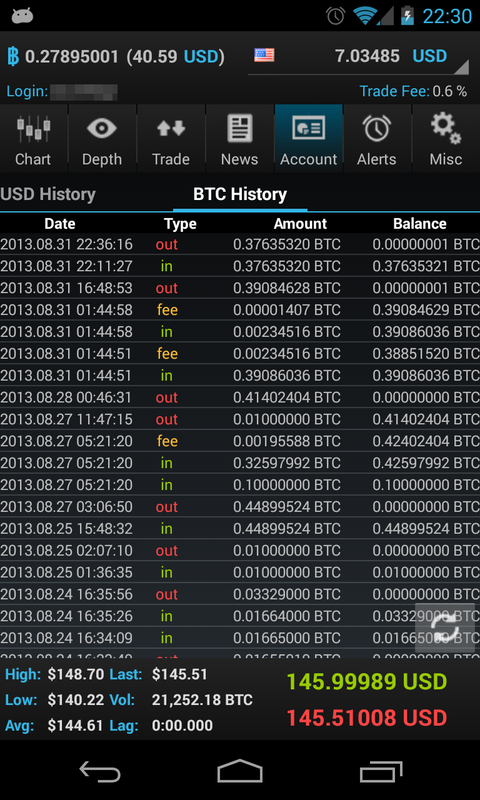 BTCfx is still in the beta phase and under development. 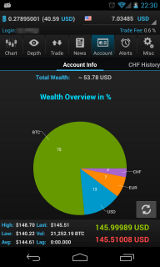 Stay tuned for more functionality and features. 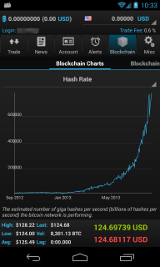 The candlestick chart allows you to get a glimpse of the bitcoin trend, and thus capitalize on its next move. Choose between 11 different timeframes (M1, M3, M5, M15, M30, H1, H4, D1, D3, W1, MN). 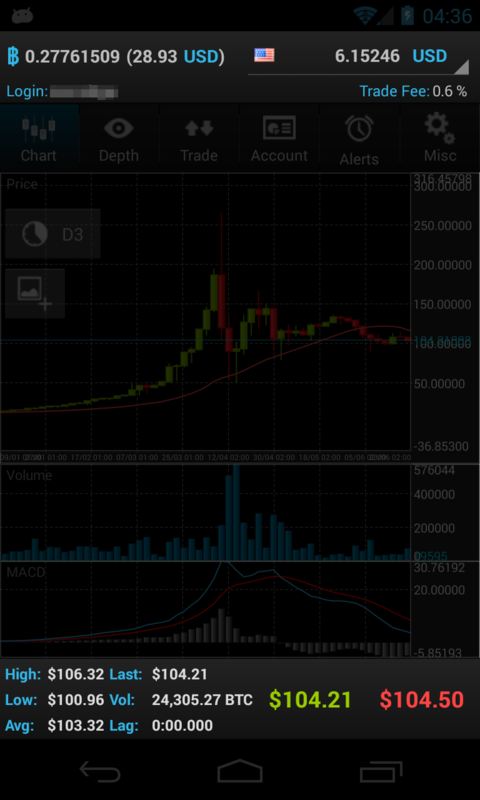 A wide variety of indicators like Volume, MACD, RSI, SMA. 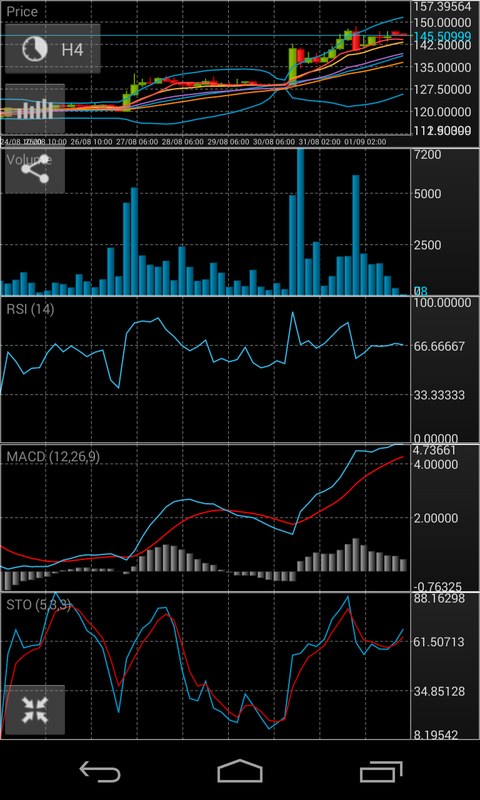 EMA, Stochastic Oscillator, Bollinger Bands lets you predict future price movements. 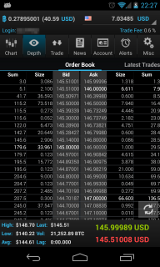 The full market depth and live trades gives you detailed and deep insight into current market conditions. 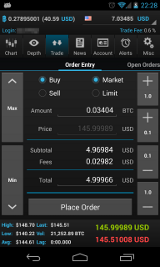 Buy and sell bitcoins over-the-counter or create limit orders. 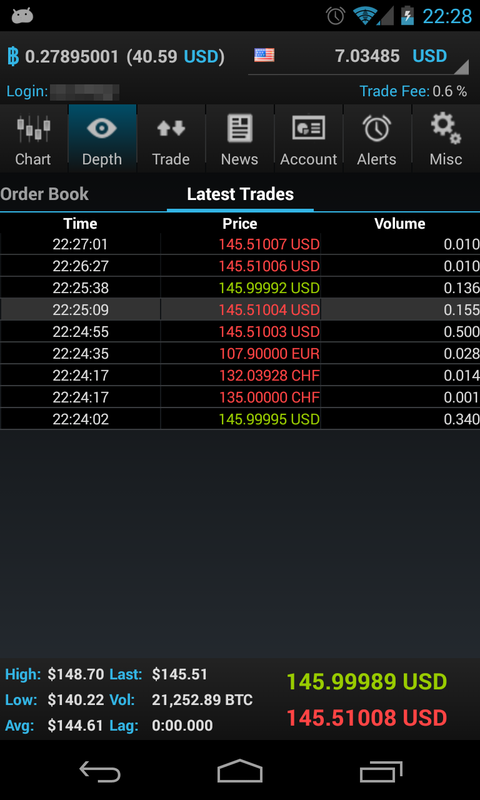 The new order entry screen provides shortcut trade buttons and an estimate of the fees for the order. 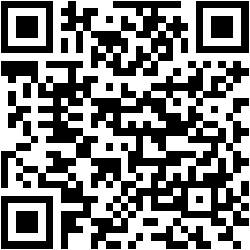 Review the direction, size, currency and total amount of your open orders and cancel them if needed. 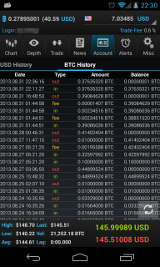 Trading history for each account is available. 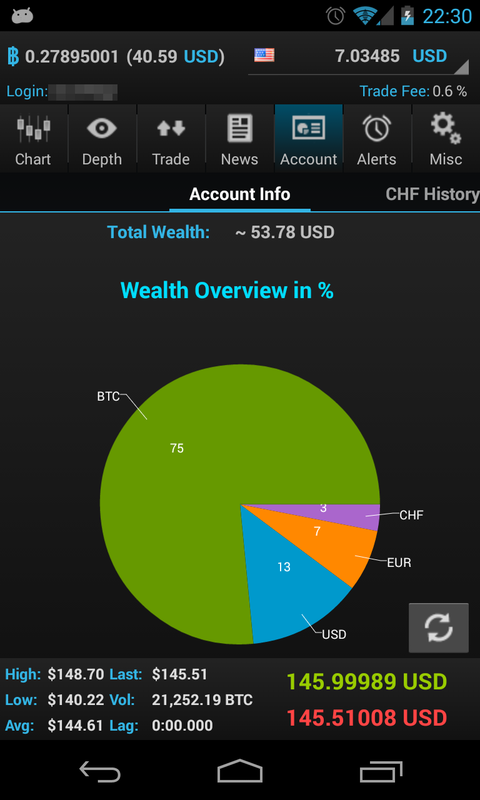 Get a detailed account overview including a pie chart displaying your wealth distribution between your currency accounts, the total worth of all your assets in a choosen currency and your monthly trading volume. 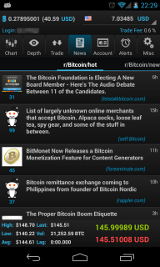 The BTCfx widget shows 24h high, low and latest quote for any of the 18 currencies directly on your home screen. The auto update inverval is 30 minutes. 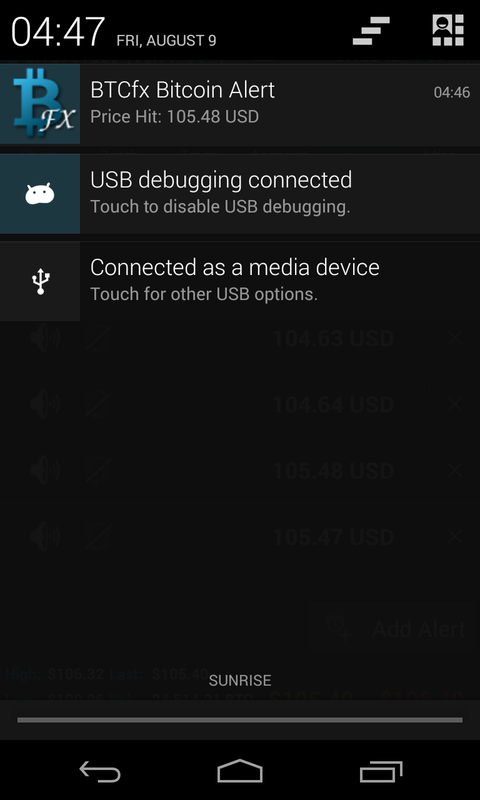 The widget can be used without subscription (for free). 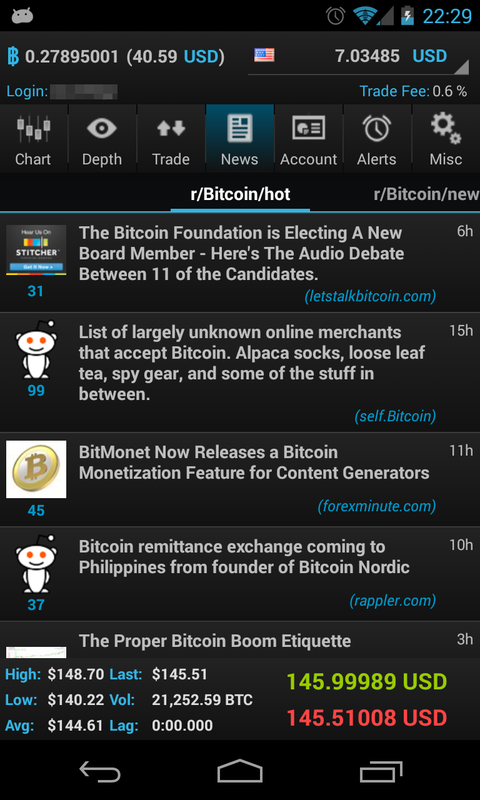 Your bitcoin balance and account balance is always displayed in the header line. 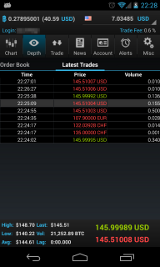 The footer line displays real-time bid/ask quotes, 24h stats like volume, high and low. 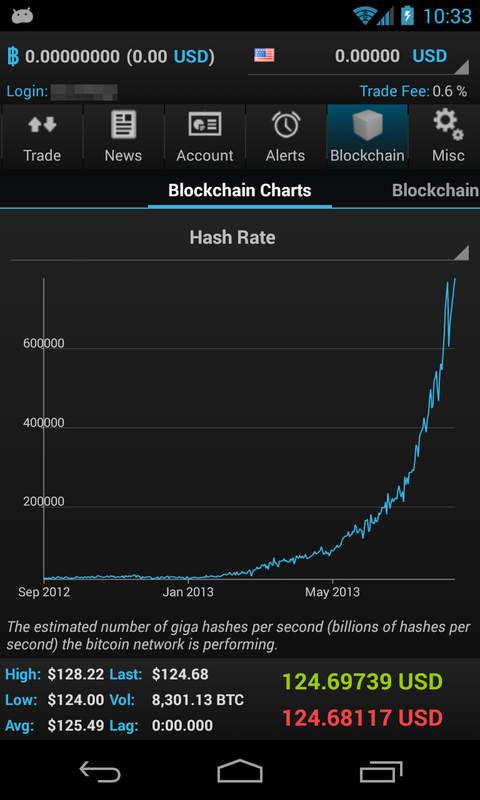 25 different statisical blockchain stats, about hash rate, market capitalization, transaction, blockchain size and more.